Wear it pink is the biggest and best pink day during October, Breast Cancer Awareness Month. This year, Breast Cancer Campaign is daring everyone in the UK to wear an item of pink on Friday 26th October and donate any spare change that you have to the charity to help us beat breast cancer. Children will be undertaking some activities during the day. 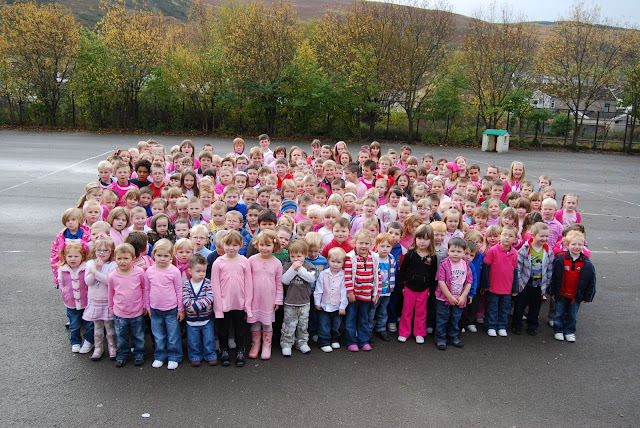 Some of the activities can be seen on the "wear it pink website" at http://www.wearitpink.co.uk/ We will be taking loads of photographs during the day and class activities will be posted on the blog and an article sent to the Rhondda Leader.